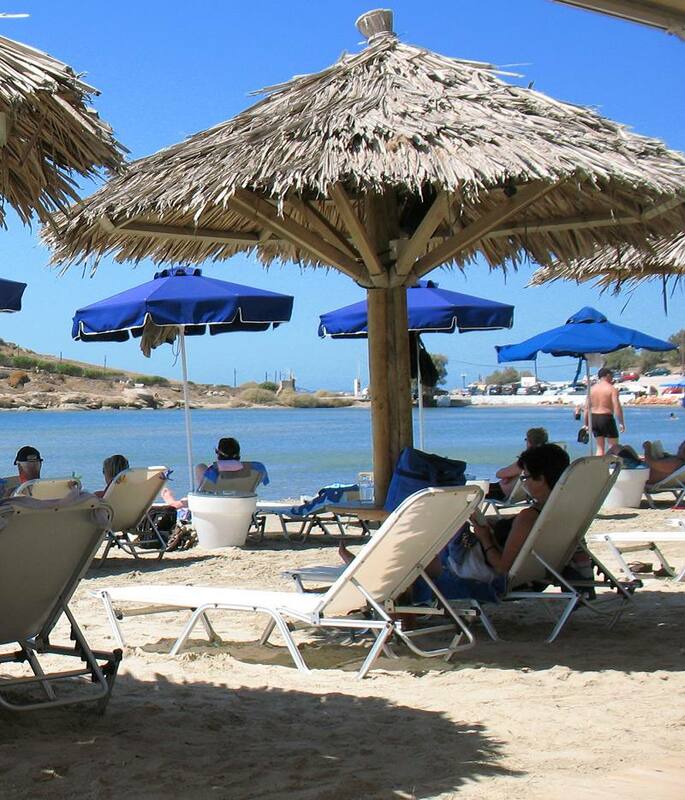 Hotel Galini is located at Saint George Beach in Naxos Town, just 30 metres from the beautiful beach. 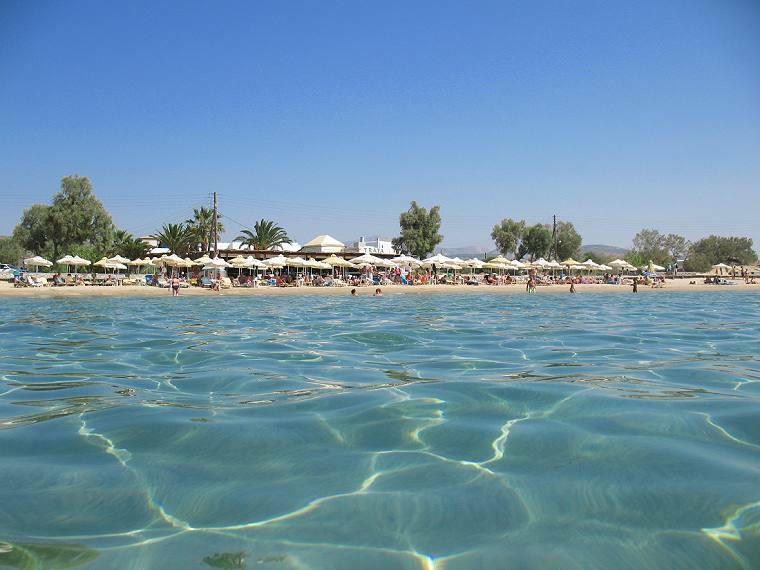 Saint George (Agios Georgios) is Naxos Town (Hora) beach. 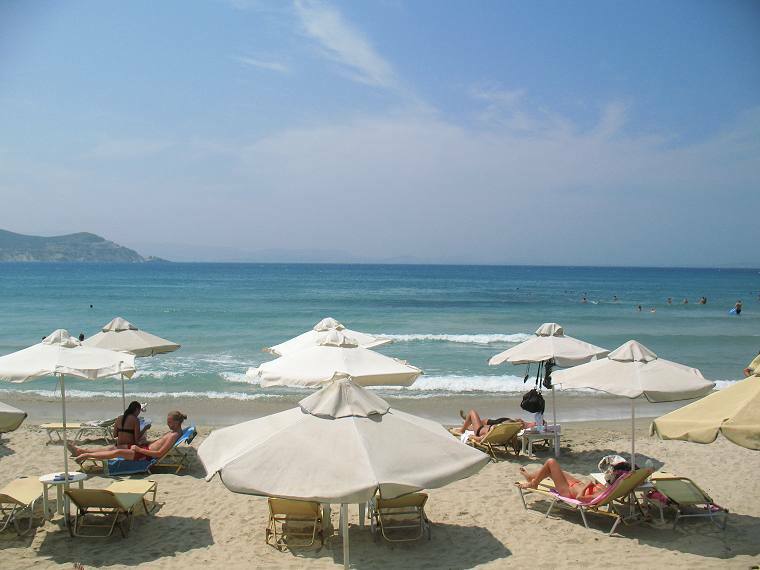 The beach is 1 Km long, with golden fine sand, beach facilities and entertainment such as sun umbrellas, restaurants, snack bars, beach bars and water sports. The waters are shallow and the sea is absolutely safe for the kids. The whole environment is very relaxing and there is nothing better to enjoy a drink on the beach and feel you are in holidays. Water sports facilities are available, from wind surfing facilities (there is high standards a training centre too) to pendaloes and beach volley. Evenings at Saint George beach are colourful, beautiful and romantic providing unique moments for memorable holidays. The resort provides all kind of services may be required, mini markets, laundry, car and motorbike rentals included. Infact you have everything you wish at your steps. Maybe is one of very few resorts where you can spend all day and night on it, to begin your day on the beach, have some drinks on the beach, have your lunch on the beach, more tan on the beach, have some activities on the beach, enjoy the sunset on the beach, dine on the beach and rest at your beach accommodation. Everything at the same beach. And if you wish to visit the numerous interesting places of Naxos Town (Hora), town centre is only a few minutes walk from Saint George Beach. You cannot miss the Old Town, the Venetian Castle, the museums, the historical places. 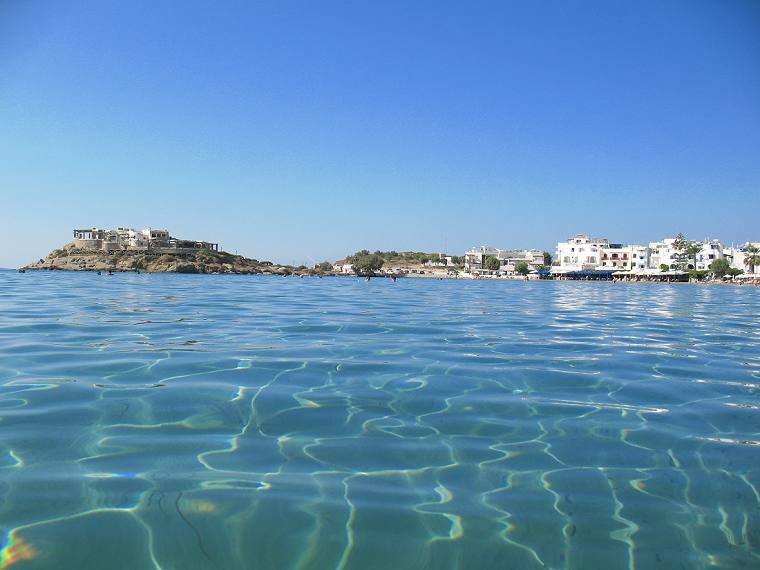 And to get know Naxos better, Saint George is the best starting point to explore the island.